“The Farnese Blue,” a 6.16-carat pear shaped fancy dark gray-blue diamond. Most gems of this magnitude have a storied history. And the stunning 6-carat Farnese Blue Diamond is no exception. 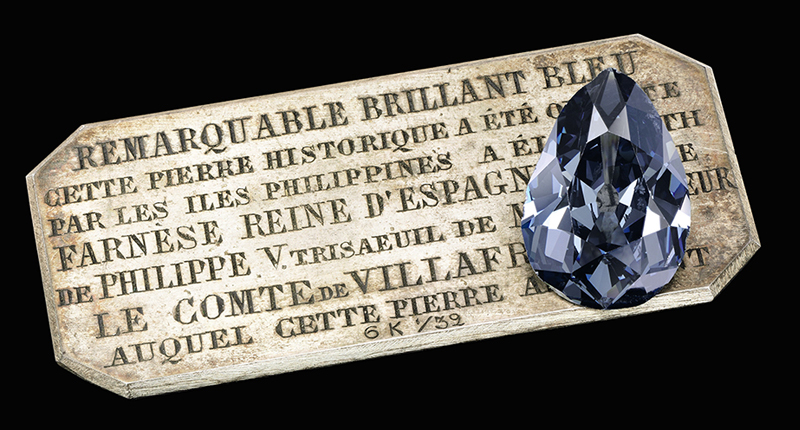 Passed on to generations of Spanish royalty, the Blue Diamond makes it way to the auction block soon. “The Farnese Blue” will be offered at the Magnificent Jewels and Noble Jewels sale at Sotheby’s Geneva on May 15 where it’s expected to sell for between $3.7 million and $5.3 million.